Freebie alert! Try the Drops of Youth Challenge! Claim your Free Drops of Youth Challenge Start Kit at the link below! 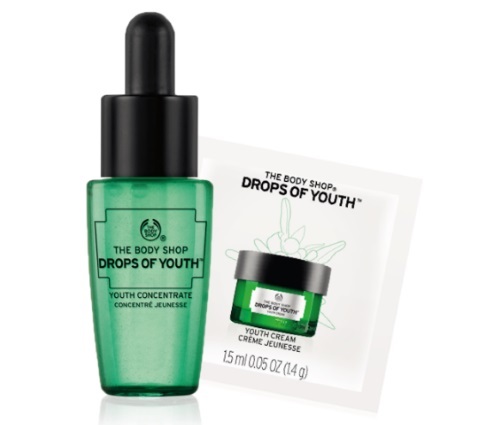 Drops of Youth Challenge will reveal tightened pores, bouncier skin and lines that appear smoothed, or your money back! Begin with the Drops of Youth Concentrate and then apply the Drops of Youth Youth Cream. There are 10,000 kits available. Limit 1 per household. Valid until February 28, 2017 or while quantities last. Only redeemable until February 28, 2017 at participating stores! Click here for a mobile friendly link to order. Click here to request your Free Sample Kit.